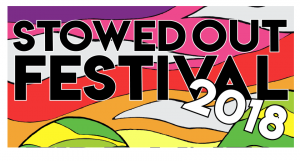 Stowed Out Festival is a family friendly boutique music and arts festival to be held on the 10th and 11th August 2018 in the village of Stow, back dropped by the beautiful rolling hills of the Scottish Borders. Stowed Out aims to showcase a high quality diverse line up of music, spoken word and art that is sometimes challenging but always entertaining. In four years the festival has grown from a small village event to a highly respected festival that brings you everything from award winning international acts to up and coming young bands all performing in an intimate setting. Sound Out Newsletter… SIGN UP!